There are two types of security testing viz. 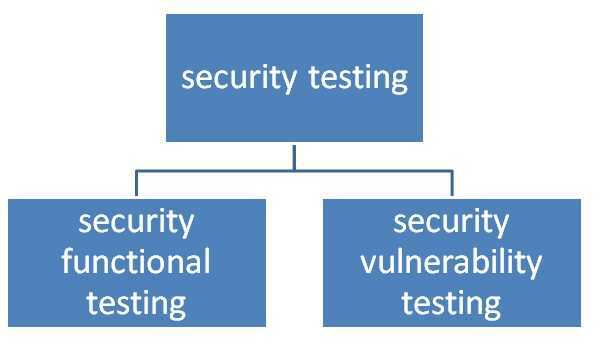 functional testing and vulnerability testing. Functional testing assures tools dveloped comply with security standards and takes care of all the basic security functions as per requirement specifications. Vulnerability refers to any bugs in the software coding or in design. Vulnerability testing tests the tools as an attacker attacking the system's security application tools. It is also referred as penetration testing. 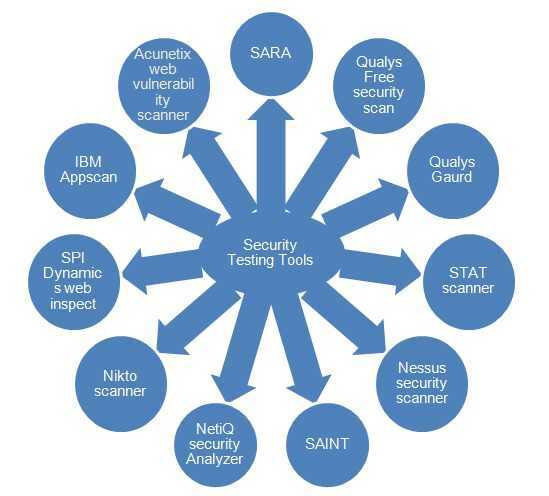 There are various security testing tools which include SARA,Qualys Free security scan, Qualys Gaurd, STAT scanner, Nessus security scanner, SAINT, NetiQ security Analyzer, Nikto scanner, tenable security center, SPI Dynamics web inspect, IBM Appscan, Acunetix web vulnerability scanner etc. Web application is in use tremandously owing to boom in internet supporting wireless and wireline technologies and devices. Following are few of the vulnerabilities of a typical web application. This leads to development of web application security testing tools. Wapiti,OWASP ZAP and Netsparker are popular tools for web application security testing. These tools help developed best web application security softwares and applications. OWASP ZAP: It is one of the penetration testing tool. The features are active scanning and fuzzing. Active scanning feature of ZAP tool helps find XSS and other type of vulnerabilities. Fuzzing feature of ZAP helps fuzz any portion of the application software. It is also open source software tool.